Now that we’ve covered all of the most common repairs that you can make inside a book, we’ll move out to the cover. In a hardbound book the covers are generally made up of a strong cardboard covered on the outside with cloth or paper and covered on the inside by the end sheet. The spine area of the cover is usually reinforced with a lightweight cardboard which is covered with the same material as the cover boards. Since the hinge areas must be flexible in order for the covers to open, they have no reinforcing cardboard. This results in hinges being relatively weak and subject to wear from repeated flexing when the book is used. 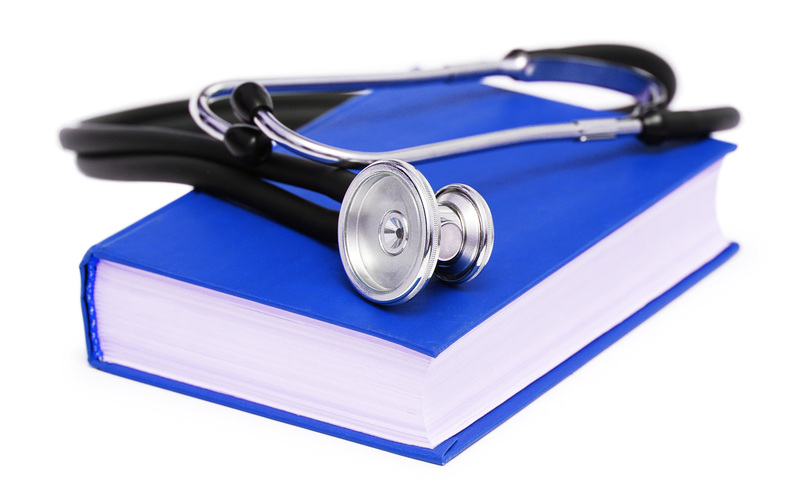 Over time one or both hinges are likely to fail and leave the spine area of the cover loose from the book. 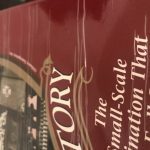 Demco’s Collection Care DVD has a very good step-by-step procedure for repairing or reattaching a loose or missing cover spine. Follow the steps in the video below and you can’t go wrong, but I’ll add more explanation about the “why” behind these steps. This repair is also covered in detail in Demco’s Collection Care Guide so, rather than repeat them here I’ll clarify the reasoning behind some important details. 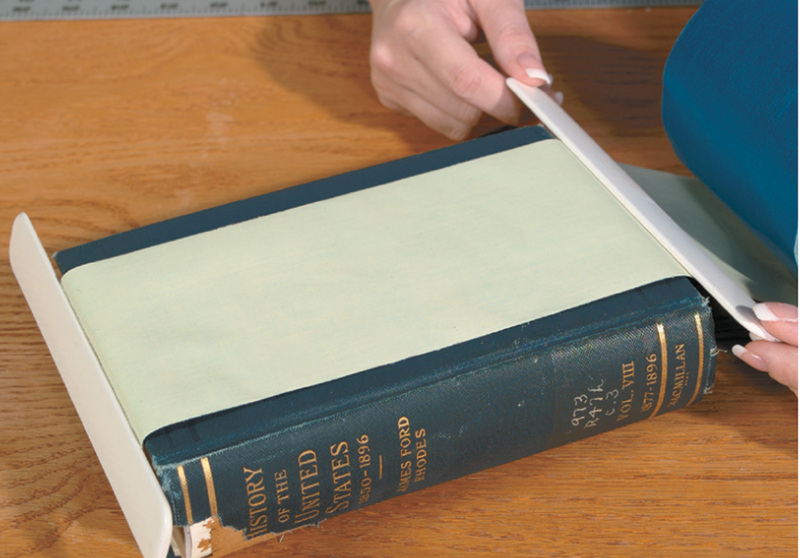 Why use a tape that is 1½” wider than the thickness of the book? The tape should be wide enough to extend well onto both covers for durability. Why remove a loose, but usable cover spine? After a book is rebacked with tape the author/title information and call number must be visible on the new spine. In the last steps of this process you will see how to reattach a usable spine. If the spine is missing or unattractive, you will need to letter the information onto the tape. Why attach folders to the tape prior to cutting it? Folders help determine the length of the tape and help center the book. 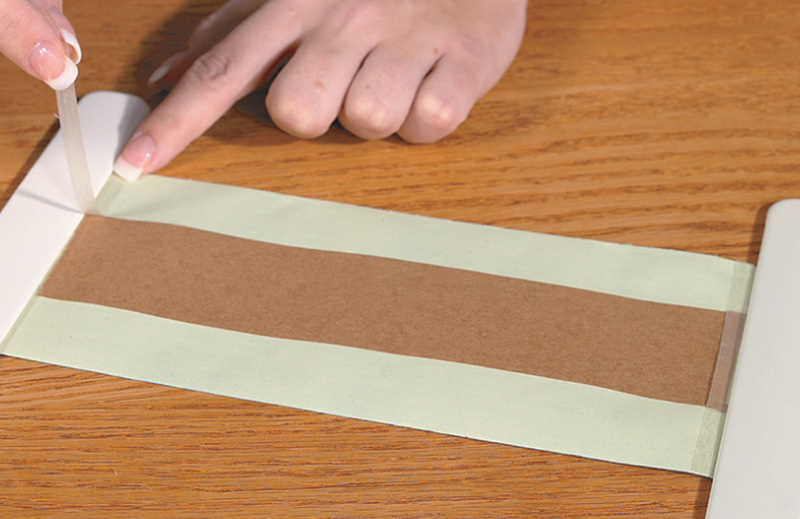 Why place a strip of light cardboard or heavy paper down the center of the tape? Why place a strip of tape along the inside edges of the folder across the backing tape? This tape reinforces the headcaps for greater durability. Why cut the backing tape at angles from each corner? This will keep the tape from attaching to the hinges inside of the covers so that the tape doesn’t flex and work its way loose. Why fold the center tabs of the backing tape over on itself? Folding over the center tabs results in a much stronger area at the headcaps. When I am reattaching a cover spine do I really cover the entire inside of the cover spine with Norbond adhesive and attach it to the backing tape? Won’t this glue the tube closed? Yes, you should coat the entire back side of the cover spine with Norbond. Since the cover spine is attached to the outside of the backing tape and you used a strip of material to prevent the tape from sticking to the text block, the tube will be fine. Why coat the outside of the replaced cover spine with Norbond? While this step is not essential, it will help to ensure that the edges of the reattached spine don’t fray. It also adds a clear protective coating to the spine. 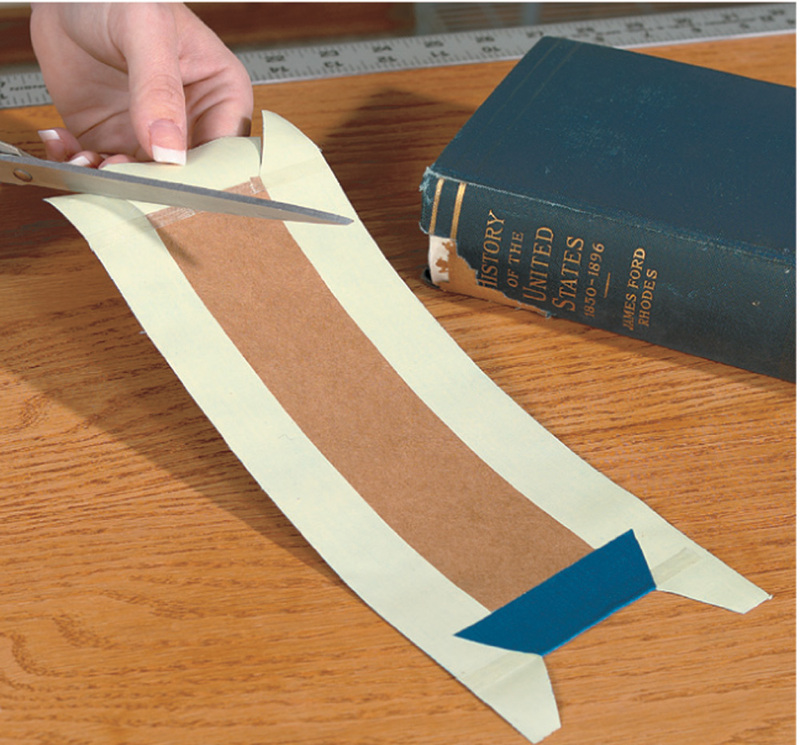 Two final repairs to book covers are illustrated in the Collection Care Guide. 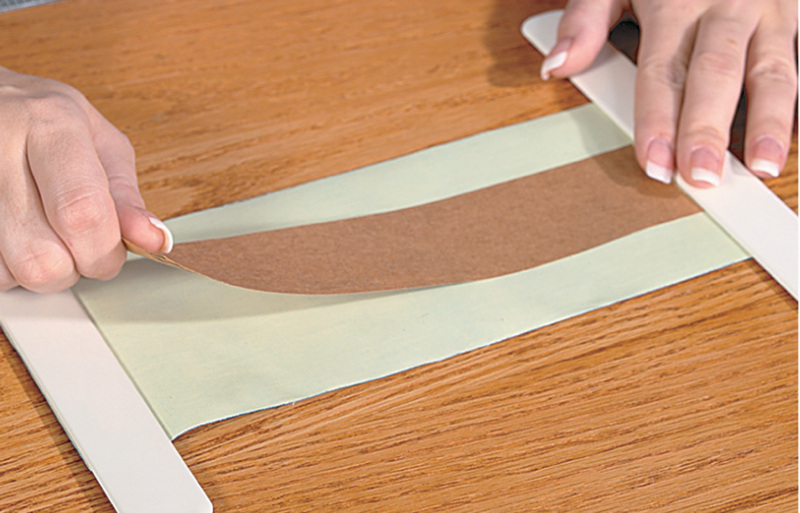 Both of these repairs use pre-cut tape products to simplify repairs that can otherwise be much more tricky if you’re trying to cut the tape from rolls. Corners and headcaps will quickly require more extensive treatment if they are not repaired at the first signs of wear. View Instructions on repairing corners and headcaps. There you have it. 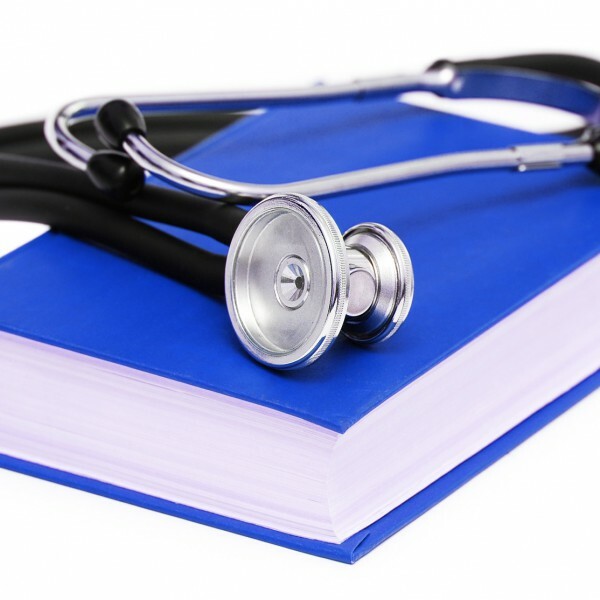 As you study and practice the repairs outlined in these Book Doctor blogs, you’ll be even more confident handling the wear and tear that comes with circulating books in your collection. People have asked about the materials we have been using for these repairs since Demco has several kinds of repair tapes and liquid adhesives. In our next post we will discuss some of these product variations and why some may work better than others in specific instances. 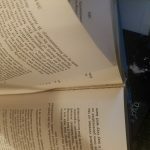 I have two paperbacks that are stuck together and I was wondering if there is any way to separate them without damaging the front cover of the book that is stuck to the back cover of another paperback. I am happy to sacrifice the top book’s back cover if I can save the front cover on the bottom book. I believe water or another liquid was spilled on books causing them to bind together. They have been packed away for at least a year. 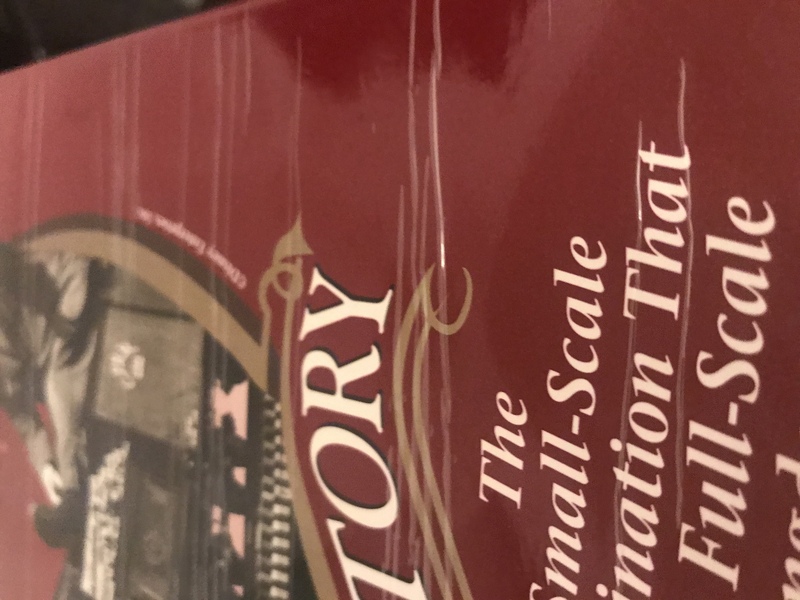 It water is the cause of the problem it may be possible to moisten the inside of the back cover to the top book and allow some time for that to soak through to loosen the bond between the covers. A piece of very damp (but not soaking wet) paper towel on top of that cover would help to keep it moist. Be sure to place a barrier between the cover and text block of both books so the moisture doesn’t get the contents wet. I’d use a sheet of aluminum foil for each book to be sure nothing soaks through. Let the books set for a time to see if the bond starts to loosen. This could take a few minutes or several hours . If, after a time you don’t see an improvement try moistening the inside of the front cover of the bottom book also. You’re now increasing the chance of causing some minor damage to that cover but if this works and you can ease the books apart they both should be useable. If the books do come apart be sure to place some weight on each of the dampened covers as they dry to help keep them from curling. If this process doesn’t work it may have been something other than water that caused the problem and it may be impossible to separate the books. On the cover of our classroom textbooks, some students have used some pointed object to draw by making indentations into the cover. I tried setting a hot cup of water on the indentations to try and draw them out; however, that did not remove the indentations. Do you have a suggestion for me? I have tested some ideas since your question arrived but found no sure-fire solution to your problem. 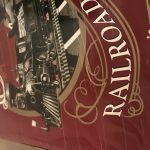 One approach that seemed to offer the best chance of removing the indentations was placing a piece of dampened paper towel on the cover and pressing that with a steam iron. Use the lowest heat setting that will produce steam and don’t linger too long so you over-heat the cover. Once the moisture has softened the cover a bit use a plastic bone folder (Demco # WS16280200) or a similar device to rub the indentations out. If you give this a try let me know how it works for you. If the contents were not attached directly to the spine of the cover you will need to use a binding tape to properly make the repair. Please note that the binding tapes are a white cloth and will be visible on the inside of the cover in the hinge area. Again, my apologies for not getting back to you sooner but I hope this helps. Hey I borrowed my sisters paperback book she told me she’d kill me if I damaged it. By mistake when I put the book in my backpack the cove bent and at the bottoms of a few pages it is ripped. I can’t buy anything special for it because my sister will know what happened my options are very limited right now she’s gonna kill me! Respond as soon as possible. The damage you describe doesn’t sound like anything that would affect the readability of the paperback–and that’s the important part. There’s nothing I can think of that would keep her from knowing something happened. Unless you can find a replacement copy to give your sister I think your best option is to use a good transparent mending tape to keep the tears from getting any longer and apologize for the damage. What pen should we use to write the spine information onto the tape? Is a sharpie acceptable? What about the dark or black book tape/cloth? I know back in “the day” there was some sort of heat pen and tape that was used for the white lettering (we even still have some of the tape, but not the pen thing), but I haven’t been able to find a modern replacement for that other than white paint pens, which have a sketchy history and can tend to blob unattractively. I’m familiar with the heat pen you mention and have been searching the on-line catalogs of library supply companies but they don’t seem to be available. I did a search at Demco.com for “marking pens” and a great many are available. I’m not familiar with most of them but you might check the customer reviews to see what would meet your needs. Many come in various colors so you should find one that would show up on dark tapes. Another option would be to get spine label stock and print them from a computer though that could be time-consuming if you’re preparing only a few labels. Be sure to apply clear label protectors over the new spine marking. 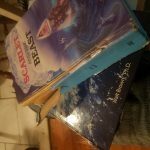 Recently I have gone through my shelf of signed books and first editions. I’ve noticed on more than one that the dust jacket has a vertical mark from top to bottom. I believe the technical term would be ‘rubbed spine.’ The shelf is packed a little too tightly and I won’t be making this mistake again. A friend suggested rubbing the dust jackets with a chamois cloth but I was wondering if you had any tips or tricks to offer That might remove the marks.Thank you for reading this and for posting all these repair guides! You’ve stumped me with this question. I know of nothing that will undo the wear marks on the dust jackets. In searching for a solution I located several descriptions of rubbed jackets but, since the marks are most likely the result of ink being worn away, no one has offered a solution. My advice is to let the covers remain in their current condition and, as you said, don’t shelve your books so tightly. 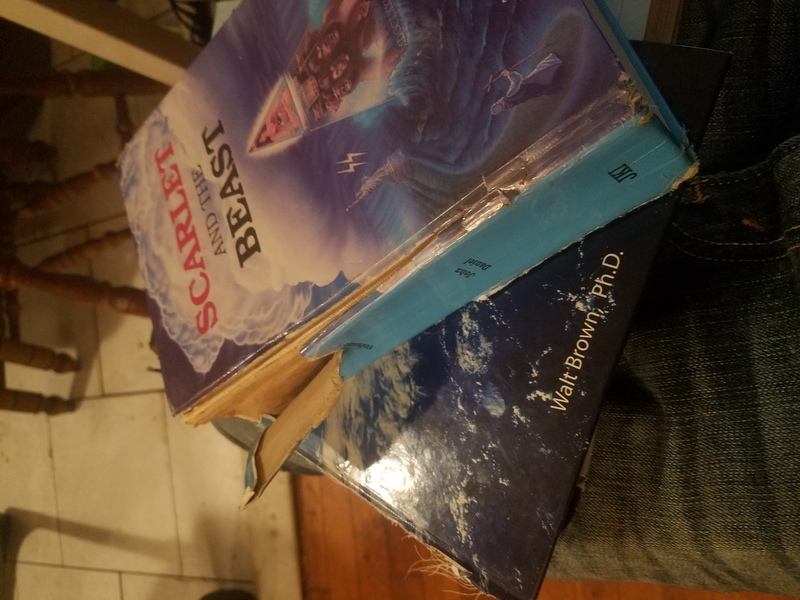 I have some old books that need the spines redone what kind of materials do i need to repair them. First a caution: If the books are simply ordinary old books I can help you but if they are potentially valuable, (first editions, rare, or very old) you should consult a conservator who deals with that type of book. Please refer to the first part of this blog post and view the video from the “Watch Video” link. The video explains both the process and materials you will need to complete the repair. I do suggest that instead of using Demco Fastape as recommended in the video you use Demco Tyvek tape with liners (https://www.demco.com/products/Library-Supplies/Tape/Colored-Book-Tape/Demco-reg-Tyvek-reg-Tape-with-Liner/_/A-B00172844&ALL0000&es=20180610121244923003). 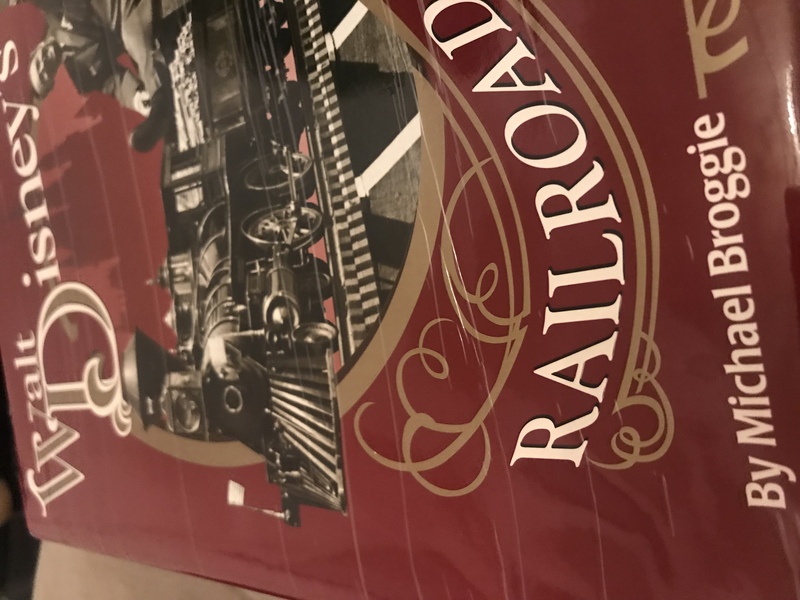 The Tyvek tape is easier to handle since the liner allows it to unroll easily and the Tyvek provides a smoother surface if you need to relabel the book. If you use the Tyvek tape and the other products suggested in the video you should to repair the spines easily. Please don’t hesitate to follow up if you have additional questions. 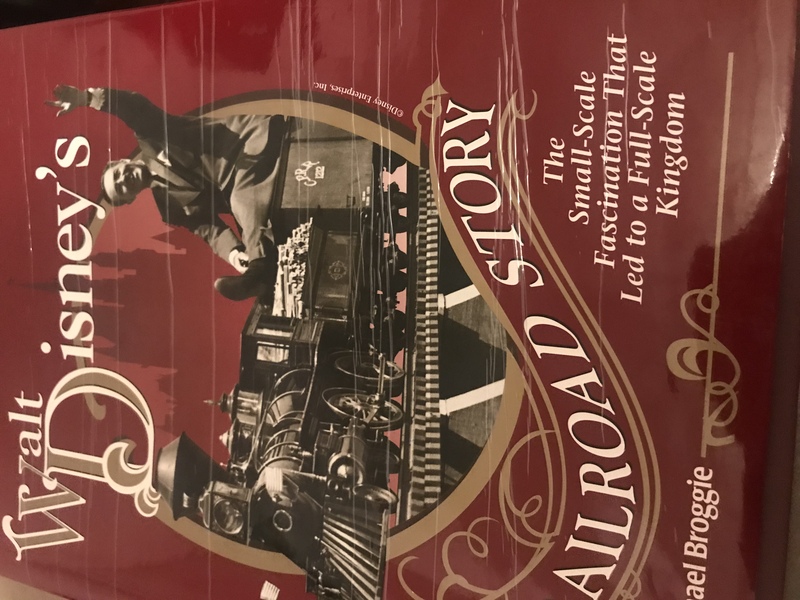 hi John.. recently I purchased a nice looking set of hardcover books.. a chance arrived for me to finally open one to read.. alas the paper that joins the spine to the covers is stiff and brittle.. I cannot open them.. I’m fairly sure they are not worth my retirement money but I was hoping they’d keep me company when I get to retire.. is there a way I can soften them.? It’s hard to imagine that the paper itself is that stiff so I wonder if someone tried to “repair” the books by gluing the spine of the cover to the text block. If this is the case you’re going to have some difficulty getting the books apart so you can repair them properly. 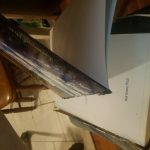 Assuming you are able to disassemble the books, I suggest you first review the “Bookbinding 101” post from August, 2015 to ensure you have a good understanding of the various parts of a book and how they are supposed to work. To repair your books follow the procedure outlined in the post “Rebuilding Broken Books (Part 2)” from late September, 2015. Note that you will need to gather supplies in advance and that post has links to everything you will need. Start by taking one of your books apart. You will need to cut through the hinge of the super (the stiff paper that’s causing your problem) but don’t cut through the hinge area of the cover. 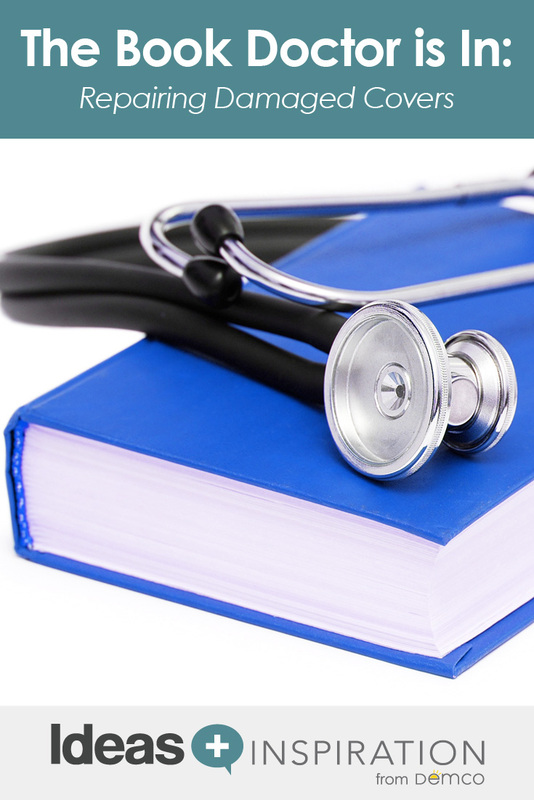 Remove all of the stiff material from the spine of the book and follow the procedure outlined in the “Rebuilding” post referenced above. If all goes well you will have a useable book when you have finished and will be able to repeat the process with your entire set. 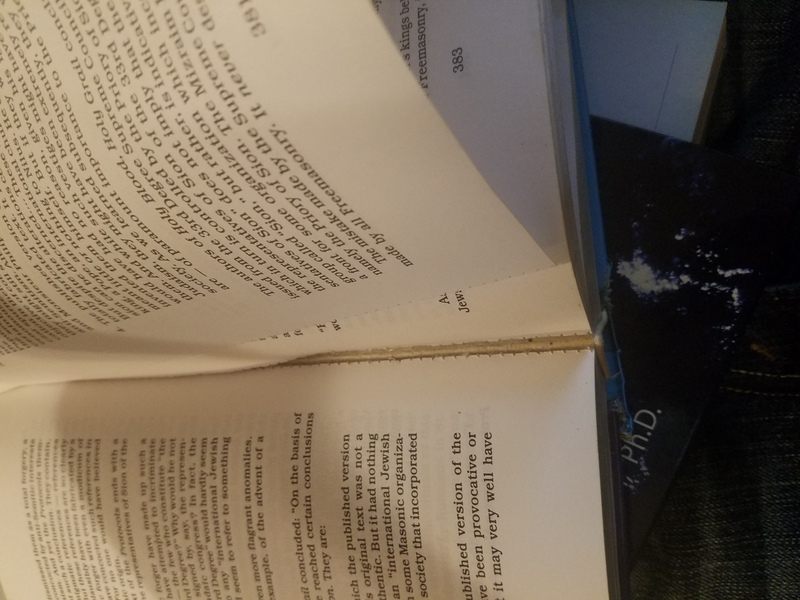 If you run into difficulty feel free to contact me again or refer to the Demco Book Repair DVD which walks you through the steps involved in reattaching the covers to your books. 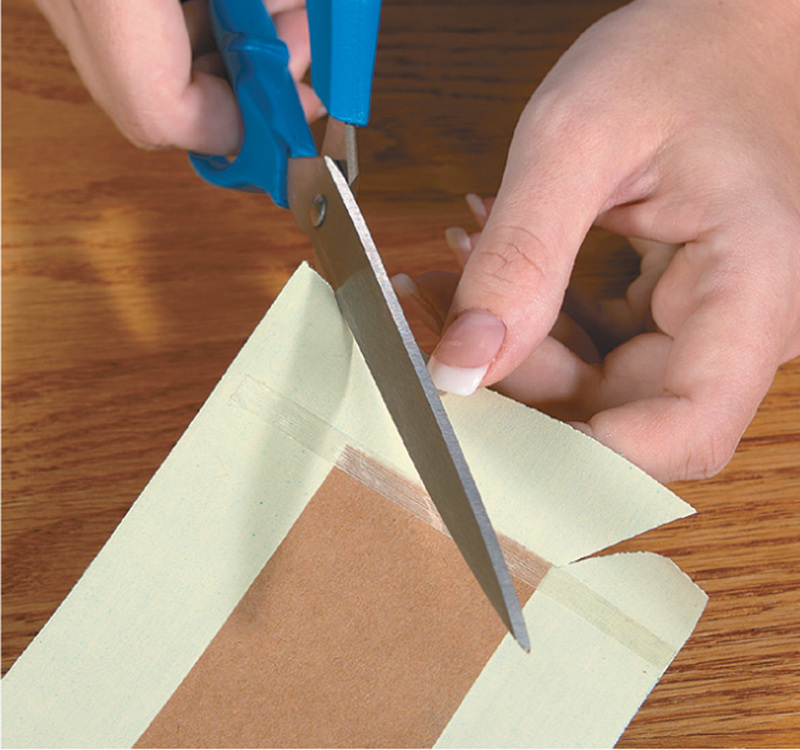 Since the end sheets are attached to the cover you should first cut them away from the cover and then use some Norbond adhesive to reattach them to the binder tape after you complete the hinge repair. The process is much the same as that for reattaching one cover but you will use a different binding tape. If the back cover is only partially loose, go ahead and remove it so you can do a proper repair. As described above, you will still need to reattach the end sheets inside the front cover after you have applied the binder tape and the adhesive has dried completely. 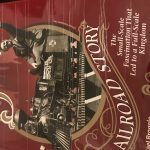 Lots to do here but because of the monetary value of the book it’s worth the effort. 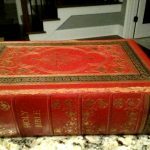 We need to have an older bible re-sewn (re-blocked). Where do we take the bible for this service. Depending on where you are it is possible that a bindery/restoration service is located near you. A search under “book rebinders” will yield a great many options. It would be best if there is one close to you so they could examine the bible and discuss needed repairs and cost with you. If you find nothing in your area there are many rebinders who will accept books by mail or express and send you an estimate before starting any work. You might expect cost to be around $100 and up, depending on how much repair is needed. Always check for on line references before proceeding. Another option if you’re located near a university or larger public library is to contact staff in their Technical Service Department to see who they use for similar repairs. Hello I left a book in the garage for sometime and it appears the front cover now has these scratch like marks that run along the book. I was wondering if there was any way to salvage the book. I don’t think there is any way to remove the scratches from the glossy dust jacket without risking further damage. Sorry not to have a solution. It was very helpful that you included the photos. 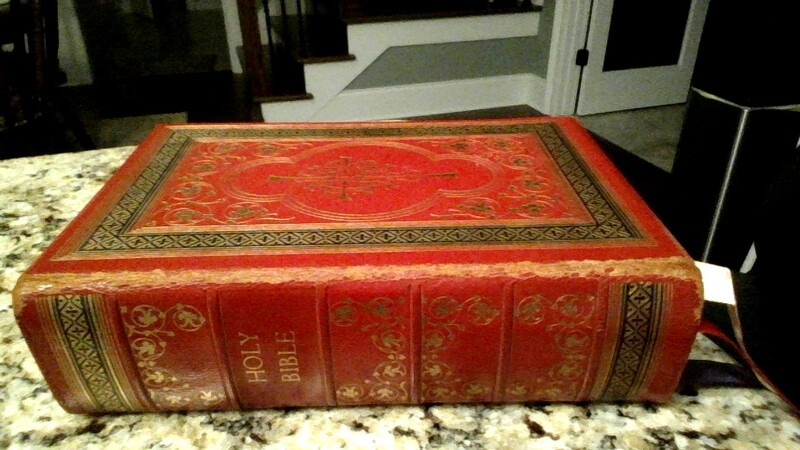 How can I repair the bending corner of an old family Bible with a leather-over-board cover? I just want it to last, it doesn’t have to look brand new. 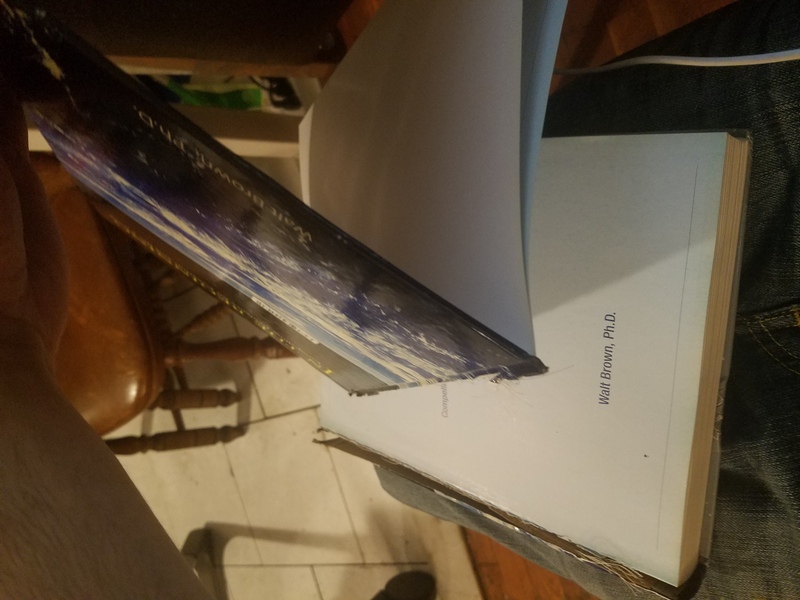 From the photo it appears that the part of the cover over the spine of the book is coming loose. Your best approach is to remove that, make some repairs to the book itself and then reattach the spine. Follow this link for detailed instructions which will guide you through the process.